Las Terrenas is a town on the northeast coast of the Dominican Republic, located in the province of Samaná. Your day-by-day itinerary now includes Playa Las Ballenas, Tainopark, Cabo Cabron, and other attractions you added. Visiting Playa Bonita and Playa Rincon will get you outdoors. There's still lots to do: admire the sheer force of El Salto del Limon and browse the different shops at Paseo de la Costanera. To find maps, reviews, more things to do, and tourist information, use the Las Terrenas holiday planning tool . 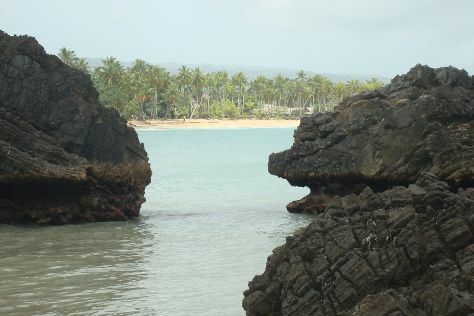 Santo Domingo to Las Terrenas is an approximately 2.5-hour car ride. You can also take a bus; or take a shuttle. In May in Las Terrenas, expect temperatures between 87°F during the day and 77°F at night. Wrap up your sightseeing on the 27th (Mon) to allow time to drive back home.